More news from New Jersey, where the state’s lawmakers continue with plans to allow sportsbetting to occur at the state’s major gambling venues, in defiance of an existing federal ban that was upheld in a recent court decision. A bill which would remove state-level oversight from all sports betting matters from limited venues (New Jersey’s casinos and racetracks) has moved on to the desk of NJ Governor Chris Christie, who is early in a 45-day period in which he must either sign it, veto it, or allow it to become law. The bill, S2250, cleared the New Jersey Assembly last week on a 63-6-2 vote after earlier passing the state’s Senate on a nearly unanimous 38-1 tally. Since no changes were made from the Senate’s version of the bill when passed om to the Assembly, a duplicate Assembly version was discarded and the bill, with both state houses’ approval, moved on to Christie’s desk as of June 26th. 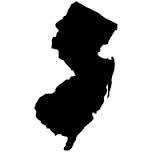 The 45-day period in which Christie must sign or veto thus extends through August 10th, 2014. Unlike the first iteration of New Jersey’s first online-poker bill, which Christie was able to delay by using an end-of-session “implied veto,” this bill carries no such special conditions. If Christie fails to sign the bill, it will automatically become law. Similarly, if Christie vetoes the bill, there is the high likelihood that the New Jersey legislature would override that veto within days, though Christie himself had expressed support for the state’s plans to implement sportsbetting, which were approved in 2011 via voter referendum. That vote, and the state’s subsequent efforts to implement a regulatory framework, were subsequently challenged by the United States’ major sports associations in a federal lawsuit which sought to block the state’s plans under the 192 Professional and Amateur Sports Protection Act (PASPA). Under PASPA, New Jersey and most other states were permanently barred from offering state-authorized sportsbetting. The constitutionality of the leagues’ case (which was supported by federal officials, remains a major factor. All S2250 is, beneath its cover, is a workaround that nullifies a federal-court decision that upholds the PASPA ban barring New Jersey from regulating sportsbetting. S2250 simply removes the state’s planned regulatory framework and declares sportsbetting a legal activity at the state’s casinos and racetracks. The move has been hailed by observers across the political spectrum as a proper counterstrike against federal-government overreach. One such example is a statement by the conservative New Jersey Tenth Amendment Center in support of S2250, along with a demand for Gov. Christie to sign the bill. Whether or not there’s a larger game of chicken going on here is a matter few pundits have explored. New Jersey would love to generate tax revenue from fully regulated sportsbetting, but the current PASPA prohibition blocks the state from involving itself in that way; New Jersey can make sportsbetting legal, but it cannot actively regulate the practice. Therefore, there may be a hidden strategy in place, an attempt to force the US federal government to repeal or modify PASPA itself, lest New Jersey’s plans open up a flood of states (or tribal nations) allowing sportsbetting to occur on non-monitored but fully legal sites. Such a specter might force an unwilling federal government to revisit the sportsbetting issue and attempt to find a more legal solution. Meanwhile New Jersey’s plans to implement sportsbetting march forward. Legalied New Jersey sportsbetting in the state may yet become a reality in time for the 2014 National Football League season.